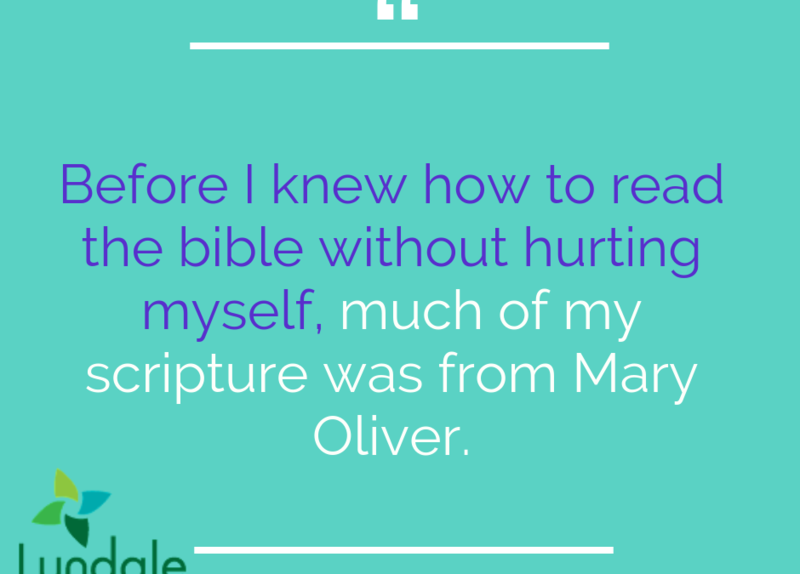 Before I knew how to read the bible without hurting myself, much of my scripture was from Mary Oliver. I could read her and enter the realms of the holy without any struggle. I know I’m not alone in this room with this experience. Mary Oliver, Pulitzer Prize winning psalmist, died last week. She had survived an abusive childhood by making friends with dead poets and nature. As she came into adulthood, she also came out and would find herself most at home with her beloved Mary Malone Cook with whom she was partnered for over 40 years. She spent much of the first half of her life in poverty, scavenging food to survive. Through all of this, she learned to combine attention and empathy and the result was prayer in the form of poems that became a kind of salvation for so many of us. Today is the day we honor the baptism of Jesus in our church year and I find it a fitting day to also be honoring Mary Oliver. One could spend a lifetime unpacking our scripture for today. And yet, through the lens of Mary Oliver’s work, the heart of it becomes clear. When I pay attention to our scripture this morning with empathy, I zone in on one word: Beloved – which means “divinely loved.” And I hear God speaking not just to Jesus, but to each and every one of us. “You are my Child, Beloved: with you I am well pleased.” You – _____, and you_______ and you_______. I imagine God calling each of us Her child, Beloved. The spiritual work for is listening and remembering that beloved holiness. This morning during our confession time we did some practice work of taking the stuffing of unhealthy selfhood out of our ears. We released what makes us feel unworthy of God’s presence. Now we are going to practice paying attention to ourselves with empathy in a little time for centering prayer, remembering that we are divinely loved. Choose a sacred word – BELOVED this time- as the symbol of your intention to consent to God’s presence and action within. Sitting comfortably and with eyes closed, settle briefly and silently introduce the sacred word as the symbol of your consent to God’s presence and action within. When engaged with your thoughts,* return ever-so-gently to the sacred word. At the end of the prayer period, remain in silence with eyes closed for a couple of minutes.